When it comes to Michael Jordan and his signature sneakers everyone stops to look at the latest edition of the most popular shoe line. Last night Jordan Brand showcased the new Air Jordan XXXI in Las Vegas. Defiance is at the heart of Michael Jordan’s success. Throughout his career, the champion faced hurdles — injury, repeated defeat, illness — and continuously soared above them to realize the unexpected. Along the way, he redefined basketball’s relationship to style, the sport’s connection to youth counter-culture and the game’s creative potential. The Air Jordan XXXI represents a balance of Jordan Brand’s tradition of game-changing performance and its transcendent style: lightweight support for the world’s highest-flying athletes, including Russell Westbrook, and rich material details that exude an off-court sensibility. The shoe’s first-of-its-kind Flyweave and leather upper incorporates a number of iconic Jordan elements, reintroducing the original Air Jordan “Wings” logo and a subtle Swoosh — not seen on a Jordan shoe since the Air Jordan I and the first time it has appeared alongside a Jumpman logo. 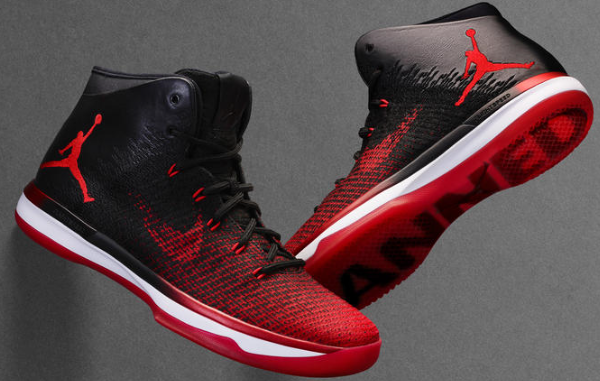 And in its launch colorway the Air Jordan XXXI pays homage to the “banned” story. Informed by Jordan himself, the Air Jordan XXXI also follows on a tradition of low-profile cushioning. “He needed to feel closer to the floor — that was his thing,” recalls White of the origin of Jordan’s desire for low-to-the-ground sole units. As such, the Air Jordan XXXI features FlightSpeed technology with full-length Zoom Air that enhances court feel, responsiveness and lateral support. “We really wanted to focus on propulsion in the forefoot, so when you’re coming down you’re engaging the FlightSpeed with the Zoom Air bag,” notes Kuerbis. The Air Jordan XXXI “Banned” will be available globally September 3 in select retail stores and on Jordan.com. Stay tuned to @Jumpman23 on Instagram and Twitter for more information on the Air Jordan XXXI. Baseball has been a staple in our country for some time now. It brings people together. To illustrate that point Bank of America is sharing a great video from their #MLBmemorybank program. 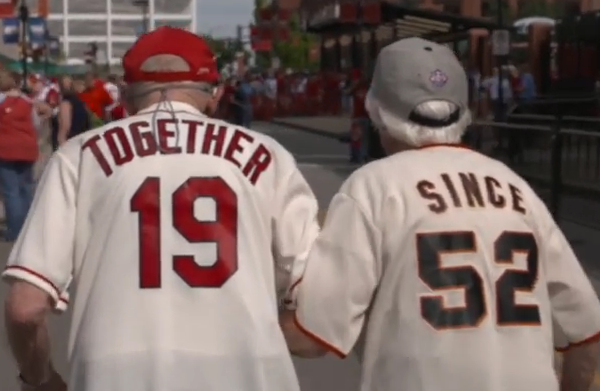 Bank of America invited Carol and Warren Reckmeyer, whose “Together Since 1952” jerseys went viral last year – to a VIP experience at the Cardinals/Giants game earlier this season. The couple, who has been married for 64 years, received a variety of surprises during the day, which icluded throwing out a double first pitch to Cardinals manager Mike Matheny and Giants manager Bruce Bochy, and a visit from Hall of Famer Ozzie Smith. Now it may not seem like the Ford Motor Company and Jose Cuervo have a lot in common, but they do. They are working together to explore the use of the tequila producer’s agave plant byproduct to develop more sustainable bioplastics to employ in Ford vehicles. The growth cycle of the agave plant is a minimum seven-year process. Once harvested, the heart of the plant is roasted, before grinding and extracting its juices for distillation. Jose Cuervo uses a portion of the remaining agave fibers as compost for its farms, and local artisans make crafts and agave paper from the remnants. Now, as part of Jose Cuervo’s broader sustainability plan, the tequila maker is joining forces with the automaker to develop a new way to use its remnant fibers. Like Ford Motor Company, Jose Cuervo is family-owned and operated. Founded in 1795, it has been making tequila for more than 220 years with the same experience, craftsmanship and recipes that have been handed down generation through generation. The collaboration with Jose Cuervo is the latest example of Ford’s innovative approach to product and environmental stewardship through the use of biomaterials. Ford began researching the use of sustainable materials in its vehicles in 2000. Today, the automaker uses eight sustainable-based materials in its vehicles including soy foam, castor oil, wheat straw, kenaf fiber, cellulose, wood, coconut fiber and rice hulls. Did you all see the Republic National Convention? Some loved it and some didn’t know what was going on. Yet there is no question that the upcoming election has generated opinions across the spectrum, from ongoing policy discussions to international affairs to which candidate is the optimal choice to lead this country – and with more than 75.4 million in the US alone, Millennials have replaced Boomers as America’s most populous and arguably most influential generation. Ranging from 21-34, some of our country’s most important technological, creative, and economical advancements can be directly attributed to the Millennial age group, yet the opportunity to hold the nation’s highest political office is being withheld from the very people who are changing the face of the nation and the world. Today, Captain Morgan has launched a petition for Article II, Section I of the United States Constitution to be changed, which restricts those under the age of 35 from becoming president. As part of the campaign, the Captain Morgan brand has teamed up with a crew of influential and notable Under 35s who are making an impact and changing the world in their own right – including Mogul’s Tiffany Pham, JASH’s Mickey Meyer, Thrillist’s Ben Lerer, Thinkful’s Dan Friedman, and more – to support the cause. To join the movement, adults 21+ are encouraged to visit UNDER35POTUS.com in order to sign the petition. If 100,000 signatures have been acquired by August 12, 2016, the White House will review the petition, distribute it to appropriate policy officials and issue a response. There has been a battle for the top spot of MT. Dew beverages. It has been going on for the past three months. The country has been engaged in a passionate election that has changed the course of history forever: DEWcision 2016. Members of DEW Nation have cast their votes for either MTN DEW BAJA BLAST or MTN DEW PITCH BLACK, two specialty flavors that developed cult followings over the years, and after months of voting and wild online challenges, the results are now in. With more than 2.9 million votes, PITCH BLACK has edged out BAJA BLAST by less than a half of a percent of the total 5,789,284 million votes. PITCH BLACK has won the election. And PITCH BLACK will become a permanent member of the MTN DEW retail lineup, making its debut on shelves this September. The Ford GT has been going through some serious testing. Ford is not messing around when it comes to design and development for the GT. The all new Ford GT is expected to go on sale before the end of this year. An innovation showcase in efficient EcoBoost engines, lightweighting and aerodynamics, the Ford GT is a study in functional design and active airflow management. 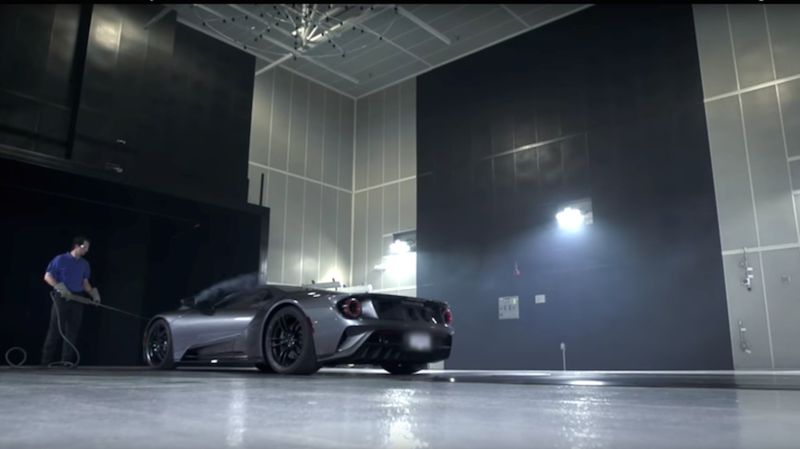 Ford engineering supervisor Nick Terzes takes us behind the scenes at Wind Tunnel 8 in Allen Park, Michigan, where a Ford GT pre-production verification prototype undergoes wind tunnel testing. The footage is of just one of multiple sessions to prove out the extensive computer aided aerodynamic models with physical wind tunnel data, at airspeeds approaching 125 mph (200 km/h). The stars from the entertainment world and sports world were out in full force earlier this week. 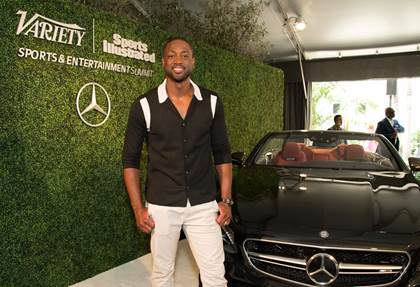 Mercedes-Benz and Variety Magazine brought them all together for a star studded night. 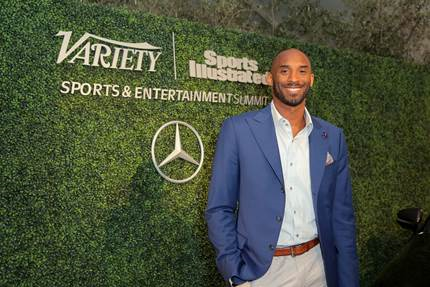 Variety’s Sports Entertainment Summit showcased some of the most noteworthy voices in sports and media in Los Angeles for a full-day of discussions about the state of the industry. 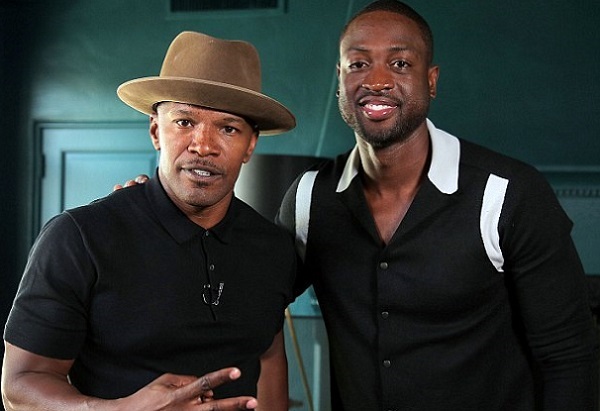 The event included keynote speeches from Kobe Bryant and Dwyane Wade, as well as appearances from Jamie Foxx, Hannah Storm, and many more. As a presenting sponsor, Mercedes-Benz displayed a new 2017 S-Class Cabriolet outside the Vibiana in Los Angeles for athletes and celebrities to check out upon arrival. Never shy of innovation the Jack Daniel Distillery is always looking for the next best thing. Recently they partnered with FCB/RED and The Mill to create a fully immersive 360-degree virtual reality experience that artfully displays the timeless craftsmanship of America’s first registered distillery. This new technology transports fans of Jack Daniel’s to sensory rich locations on the hallowed grounds of the distillery. From the blazing inferno being stoked at the rick yard, where sugar maple ricks are burnt down for use in the whiskey’s charcoal mellowing process to flying over the rolling hills of Lynchburg to the top of the barrel house with Master Distiller Jeff Arnett, this new technology provides a vital tool to give consumers a better perspective of the craft that goes into making Jack Daniel’s. Co-directed by The Mill’s Bowe King and Rama Allen, the VR component was produced to digitally manifest one of Jack Daniel’s favorite phrases turned distillery mantra: ‘Every day we make it, we’ll make it the best we can.’ Today friends of the Jack Daniel’s family of brands can experience the VR component via YouTube 360 and Facebook 360 versions. The Gear VR Goggles will be available for consumers at special Jack Daniel’s events and activations this summer including Lollapalooza, Life is Beautiful, Chicago Open Air and numerous other venues world-wide. The visual style of ‘mixed time’ was developed for the content where moments slow down and time seems to stands still. The highly stylized, cinematic visuals combine with ambient surround sound. This style of film borrows from the visual language of cinemographs, allowing viewers to linger in moments of mixed time. Combining real-time and frozen elements in one shot, the mixed time film technique was developed by The Mill specifically for the Jack Daniels VR Experience. 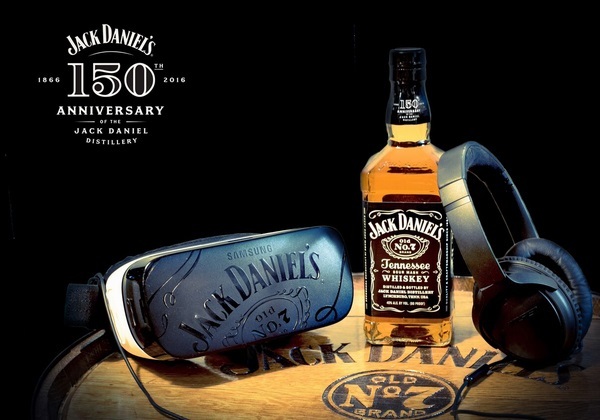 To learn more about Jack Daniel’s and the new 360 degree experience, follow @jackdaniels_us or visitwww.jackdaniels.com for more information. For those who might have not noticed eSports is becoming an integral part of gaming culture. So with that notion Mountain Dew is making waves by announcing the Mountain Dew League otherwise known as MDL. The league is designed with one purpose in mind: helping amateur gamers become pros. DEW and the ESL, the world’s largest esports company, are both instigators in the gaming world, and are now partnering to host a massive three-phase competition for amateur gamers. The MDL global championship will culminate in one amateur team joining next season’s ESL Counter-Strike: Global Offensive Pro League. The tournament will start in August, and will unfold over the course of 20 weeks beginning with 7,400 players, down to nine teams in each region, down to the final team. Fans will be able to watch the competition unfold through live-streamed events, behind-the-scenes action and real-time stat tracking via the ESL and Twitch channels. Mercedes-Benz has always been a fan of golf. Whether they are sponsoring athletes or tournaments Mercedes-Benz is present on the golf course. Now they introduce the Garia Golf Car. This new car transfers the unmistakable Mercedes-Benz automobile design to a premium-class golf cart. The show car is the result of a partnership between Mercedes-Benz designers, Daimler’s Think & Act Tank Business Innovation and the well-known golf cart manufacturer Garia. The Garia Golf Car has integrated onboard touchpad that displays several car functions, as well as the layout of the golf course, current position and an electronic score card. There is a built in refrigerator under the bench seat and a storage tray under the dashboard to hold a row of golf balls at one time. The hands-free system with Bluetooth connection and hi-fi speakers integrated into the rear roof frame, allowing music from any smartphone make all those who love tech and gadgets swoon. It has a range of up to 50 miles with a top speed of 19 mph and uses LED technology in headlamps, ensuring good visibility in any weather conditions. So who is ready to test it out on the course?